Jihad Watch : “These Christian families needed to escape their homes after the photo of a Christian youth was shared on Facebook and individuals of the range were induced to kill him and consume the congregation. There are reports that a Muslim mob had likewise been composed to rebuff the Christian young man.” These are real threats. Look what is happening to Hindus in Bangladesh over rumors of another “blasphemous” Facebook page. 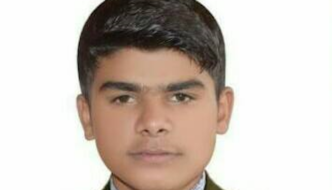 Five Christian families in Pakistan are compelled to leave their homes and village as a 18-year-old youth among them has been charged of committing blasphemy. As indicated by media reports, these families are inhabitants of Sukheki village, somewhere in the range of 200 kilometers from Lahore. These Christian families needed to escape their homes after the photo of a Christian youth was shared on Facebook and individuals of the range were induced to kill him and consume the congregation. There are reports that a Muslim mob had likewise been composed to rebuff the Christian young man. Police authorities told that circumstance was brought under control a case had been enlisted against the individuals who had made this phony Facebook page. Cop Tahir Hussain told that there was no proof of the Christian boy named Arshad had submitted any blasphemy whatsoever. It was a phony campaign.